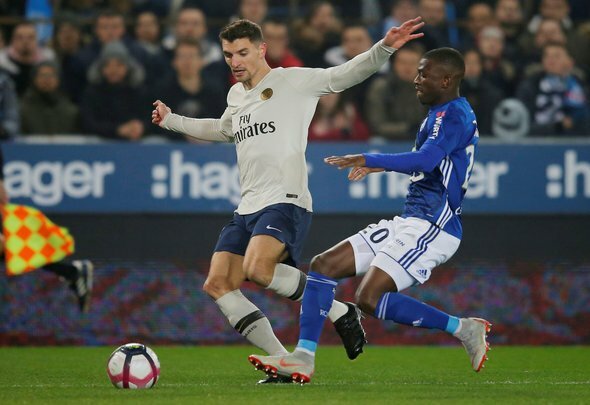 Everton are keeping tabs on Paris Saint-Germain defender Thomas Meunier with a view to signing him at the end of the season, according to Le 10 Sport. The French outlet reports on their website that the Toffees are looking into the possibility of signing the 27-year-old in the summer after previously registering their interest in the January transfer window [Telefoot]. The Le 10 Sport report adds that several clubs from around Europe have been alerted to the fact that Meunier is not in PSG boss Thomas Tuchel’s plans, with the Champions League club possibly being forced to sell him due to the fact he could leave on a free transfer next year. Yes, this would be a good move for Everton. Despite the fact that Meunier does not fit into Tuchel’s plans at PSG, that does not mean that he is not a quality right-back with the experience to thrive at Goodison Park. The fans would surely drool if the Toffees ended up signing him at the end of the season, as he also has plenty of experience playing in the Champions League. Fingers crossed that they win the race, as Meunier would be quite the coup. Everton have already enquired about Meunier with the possibility of signing him in the summer, so do not rule this one out. Yes, other clubs may be keeping tabs on him too, but that does not mean the Toffees are not likely to sign him. It will be difficult with other clubs in on the act, but there is no reason why PSG would not sell to Everton. They have as much chance of signing him as the others, so watch this space at the end of the season.